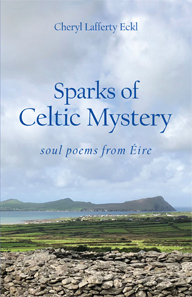 Cheryl Lafferty Eckl is an award-winning author of eight books in multiple genres—memoir, non-fiction, novels like The Weaving and her latest book of mystical poetry—Sparks of Celtic Mystery: soul poems from Éire. In her four poetry books, Cheryl taps into her Celtic roots as a mystical poet. She creates scintillating word pictures that inspire an atmosphere of transcendent mystery in the ecstatic tradition of Rumi, Hafiz, and LiPo. Writing about personal growth, she shares her own transformative life experiences, compassionately leading her readers through such challenging subjects as death of a loved one, the heart-wrenching journey through grief, and navigating the rough waters of life’s myriad transitions. More than dramatic landscapes, incredible food and genuine hospitality, Ireland exudes the feeling of a place your soul knows, perhaps better than anywhere you’ve ever been. In 36 brand new poems, Cheryl Lafferty Eckl brings to life a country where mystery is alive and where artistry’s muses work overtime, inspiring poems and songs, paintings and stirring dances that evoke deep communion with the unseen. For the landscape here has stories to tell and secrets to share. Listen carefully, and the poetess will let you in on some of them. IPPY Awards Bronze Medal Winner! romance category. Sarah and Kevin have walked this earth for eons—sometimes together, often apart. Though they recognize each other almost immediately in this life, that realization does not eliminate the turbulent waters they must face. Their story, like that of many twin flames, is hidden deep in mysteries of ages past. Will they forgive the chasm that opens between them in the present and build a bridge of loving-kindness to the future? Only the weaving of time and the magic of Ireland will tell. 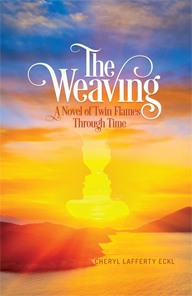 About the book | Cheryl answers your questions about The Weaving | Watch & Listen as Cheryl discusses Twin Flames and their search for wholeness. A book to read before you need it. You can never be totally prepared to lose a loved one. But when you can embrace life’s end as a powerful new beginning for the one who is moving on, those of us who remain may also find the courage and confidence to view death as an experience of love, compassion and profound resolution. 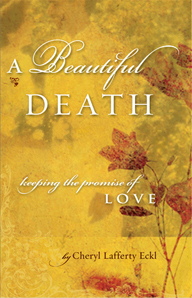 More about the book | Contents | Study Guide | Watch & Listen as Cheryl tells the story Behind the Books: A Beautiful Death & A Beautiful Grief. A perfect gift for anyone who is grieving the loss of a loved one or even a precious pet. Designed as a bedside book—each chapter stands alone as a meditation on a single aspect of the grieving process. Written during the second year after Cheryl’s husband’s death, the 24 essays can be read in any order. An excellent book for life coaches, personal development trainers, or anyone who wants to deeply explore the process of life’s many transitions. Cheryl has used the five LIGHT Questions as the basis of workshops and retreats, and as the implicit foundation of personal coaching sessions for individual clients. 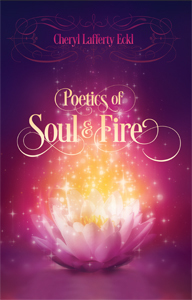 Poems of love and mystical connection for those who dare to dance between the here and there. Worlds and wonders beckon from the Unknown in visions, lucid dreams, and mysterious encounters where soul friends of today and ages past engage in joyful communion between this world and the next. Watch & Listen as Cheryl reveals the origins of her poetry books. 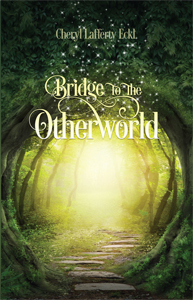 The heart’s way is the bridge to Love’s deepest mystery in this collection of soul conversations where mystics gather, a veil parts, stillness descends, and the heart opens to a thin place of profound insight — a threshold not crossed by mind alone. Hauntingly beautiful, vividly imagined. Poetry Interview part 2: “Opening the Way of Love’s Mystery” & revealing the inspiration behind Idylls. 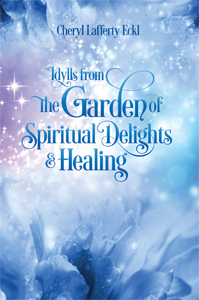 A fantastical journey through a magical garden inhabited by fairies, elves, and shape-shifting travelers. Spirit guides and nature spirits point the way through realms of earth, water, fire, & air — while majestic beings share their healing wisdom.